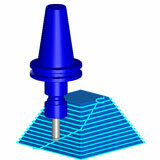 SURFCAM TRADITIONAL’s 3 Axis system provides the combination of powerful functionality coupled with ease of use. 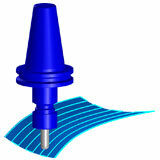 SURFCAM TRADITIONAL delivers efficient, reliable toolpaths on even the most complex of surface geometry. 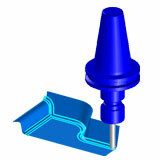 SURFCAM TRADITIONAL’s 3 Axis high-speed machining strategies feature fast processing, minimal rapid moves and optimized tool motion all of which provide the highest quality surface finishes.